Is your iPhone photography lacking creativity and inspiration? A simple solution is to explore the exciting genre of abstract photography! In this short article you’ll discover eight quick and easy tips for creating unique abstract iPhone photos from the most ordinary of subjects. 1. Find strong shapes, lines and curves to create structure in your photo. 2. Look for repeating patterns to draw the viewer’s eye into and around the image. 3. 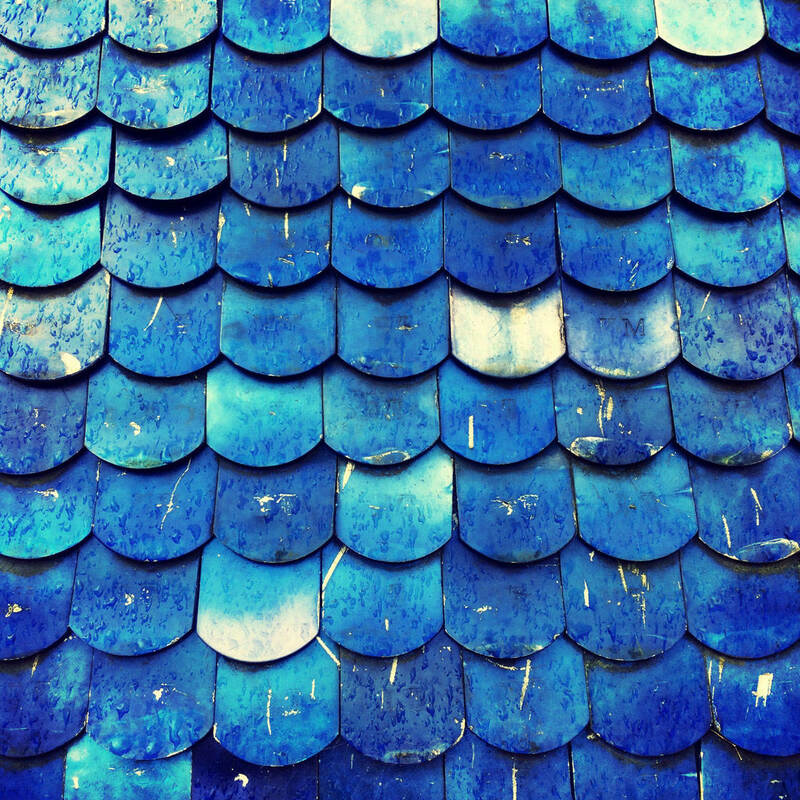 Seek out interesting textures to stimulated the viewer’s senses, such as wood grain, peeling paint or rusty metal. 4. Get up close and fill the entire frame with just part of your subject, placing emphasis on the shapes, patterns and textures. 5. Use bold or contrasting colors to grab the viewer’s attention. 6. Create distortion by photographing reflections in water, or shooting through another object such as frosted glass or a window with raindrops. 7. Pan or spin your iPhone when taking the photo to create abstract light trails caused by motion blur. 8. 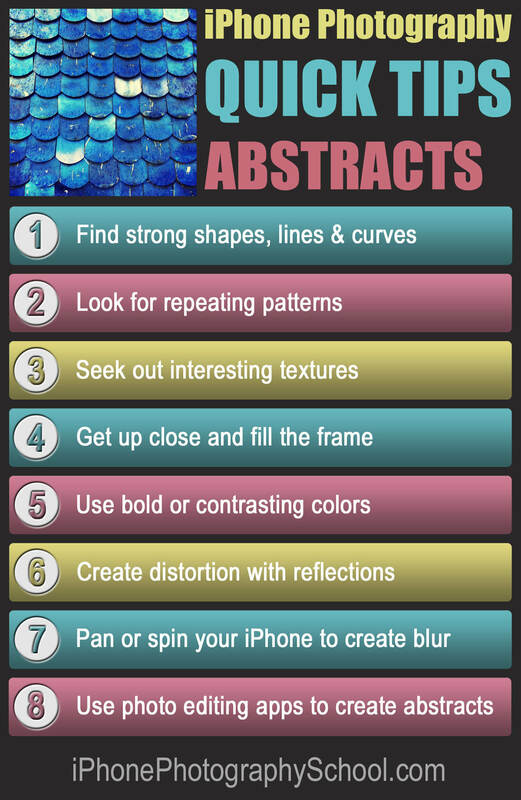 Use photo editing apps to create unique pieces of abstract art. Click the image below to download this handy Quick Tips cheat sheet! To learn more about taking incredible abstract photos with your iPhone, check out our in-depth tutorials where you’ll discover more great tips and techniques, as well as plenty of inspirational abstract photos!